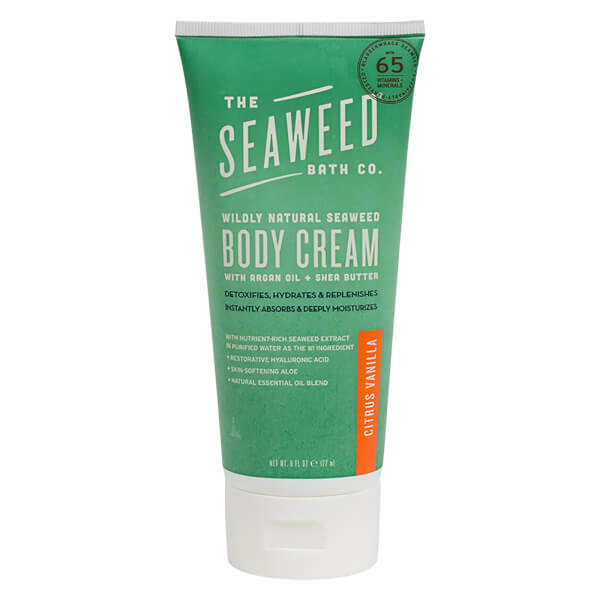 Soften and condition skin with The Seaweed Bath Co. Citrus Vanilla Body Cream; a rich, ultra-moisturising formula that utilises Shea Butter and Hyaluronic Acid to deliver intense hydration. Harnessing the powers of Hawaiian Kukui Oil and organic, sustainably-harvested Bladderwrack Seaweed (rich in vitamins, minerals and amino acids), the luxurious body cream penetrates deep into skin to nourish and replenish from top to toe. Moroccan Argan Oil and Vitamin E provide antioxidant protection to leave skin smooth, comfortable and subtly scented.